The idea of business incubators arose in 1959 when Joseph Mancuso opened the very first one in Batavia, New York. Since that time, the number of incubators has grown to 7,000 worldwide. In New York State alone, there 80 active small business incubators. Over the last five years, business incubator programs have flourished, and several new models have emerged around the globe. These new models include accelerator programs, industry-specific incubators, maker spaces, and coworking spaces. Their success and popularity continue to grow as they spur economic development, support innovative ideas, and foster collaboration with academic and industrial resources. 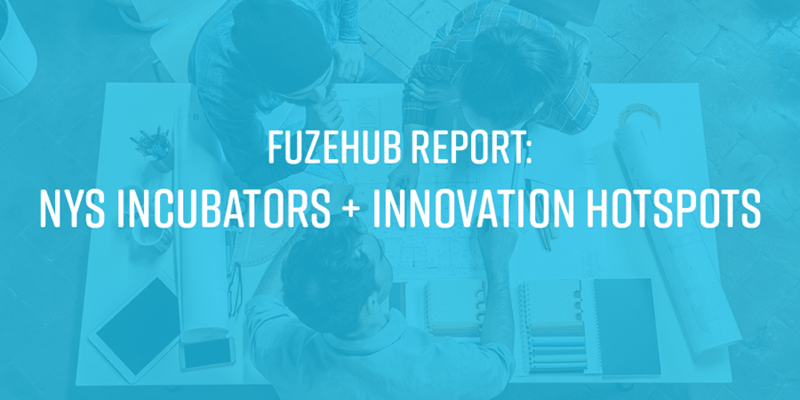 In New York, Empire State Development has designated 10 Innovation Hot Spots and 20 Certified Business Incubators that provide a network of support across the state. Also, several other incubators offer specific services in various industry sectors. Innovate 518 is the designated Capital Region Innovation Hot Spot. The program connects early-stage startups with financial, informational, and networking resources. BACC, located at Albany Medical College, provides an environment of support for entrepreneurs who are developing and improving biomedical innovations. The hub at RPI focuses on connecting entrepreneurs with academic and industrial resources for networking and collaborative efforts. The incubator makes it easier for manufacturers to access multiple resources by pulling regional assets and business development programs together into one unified program. The incubator at TVCOG boosts manufacturing innovation by providing businesses with access to prototype development resources and networking opportunities. This hot spot is a 21-member consortium that is a stepping stone to the STARTUP-NY program, which helps incubators take advantage of tax incentives and gain access to business development programming. CNYBAC, located in Syracuse, provides acceleration services and access to industry-specific development resources to growth-oriented companies. This hot spot, led by High Tech Rochester (HTR) and the Rochester Institute of Technology (RTI), supports the growth of small to mid-sized manufacturers. Rev Ithaca is a partnership between Cornell University, Ithaca College, and Tompkins-Cortland Community. The incubator focuses on working with companies that have the potential to create new jobs in the region. The Long Island High Technology Incubator (LIHTI) is a non-profit organization that supports and stabilizes early-stage, high-risk, high-tech businesses. The Long Island High Technology Incubator (LIHTI) at Stony Brook University has 40+ suites and a total of 62,000 square feet of space. ETIC’s mission is to be a catalyst for economic growth and to help regional businesses increase their competitive advantage. Hudson Valley’s BioInc@NYMC is the only biotechnology incubator in the region. The program has several services and resources for entrepreneurs and startups. iCANny supports both start-ups and mature enterprises by providing multiple business services, including a curriculum to commercialization. The Accelerator, located in New Windsor at Stewart International Airport, focuses on bringing manufacturing to the mid-Hudson Valley. The facility has 10,000 square feet of office space with utilities included. The thINCubator fosters creative collisions by providing workspace, resources, coaching, and a collaborative environment for entrepreneurs. The incubator supports new and developing farm and food businesses by providing a variety of business and training resources as well as product development facilities. GIBI, located in Rome, NY, partners with thINCubator and other regional resources to connect and support entrepreneurs in the local area. The CUNY Hub for Innovation and Entrepreneurship promotes faculty entrepreneurship and fosters collaborations with business and industry. This incubator is an NYS tax-free zone that helps early-stage companies develop, test, and commercialize biotech innovations. The Brooklyn Fashion + Design Accelerator helps designers turn their ideas into successful businesses. This incubator helps food entrepreneurs with business creation services and marketing efforts in addition to providing affordable commercial kitchen space. The Icahn School of Medicine advances the art of medical research and care by providing an environment that encourages collaborative learning, social concern, and scholarly inquiry. NYDesigns is dedicated to helping design and hardware tech start-ups succeed. In addition to its other services, the program has a 5,000 ft² fabrication lab. This program helps companies gain access to markets and customers through its close-working relationships with several valuable NYC-based organizations. This hot spot utilizes the existing infrastructure in the region and provides a central point of resources and support for entrepreneurs in the North Country. Through its three incubator programs, Binghamton University provides start-ups and emerging companies with targeted resources and services. IncubatorWorks is a part of START-UP NY and provides direct support and services from multiple universities across New York. In 2015, STSA helped 350 start-ups obtain a combined total of 10 million dollars in funding. WIN is a collaborative effort of incubators and entrepreneurial service providers that are managed via the University of Buffalo. The BNMC fosters communication and collaboration of academic, industrial, and community resources that are located on the 120-acre Buffalo Niagara Medical Campus. FTI has assisted 20 start-ups that have created over 60 jobs in the Western New York region.